An election nomination form is more serious as far as its subject matter is concerned where a nominee has to maintain certain guidelines to complete the process. As it can be designed for the public service of the government, the concern body of government specifies the guidelines and it is a very much legal document. 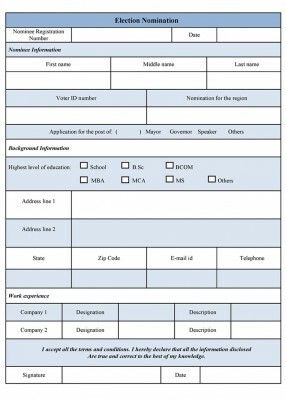 The format of the form is quite similar with electoral application form and society election. 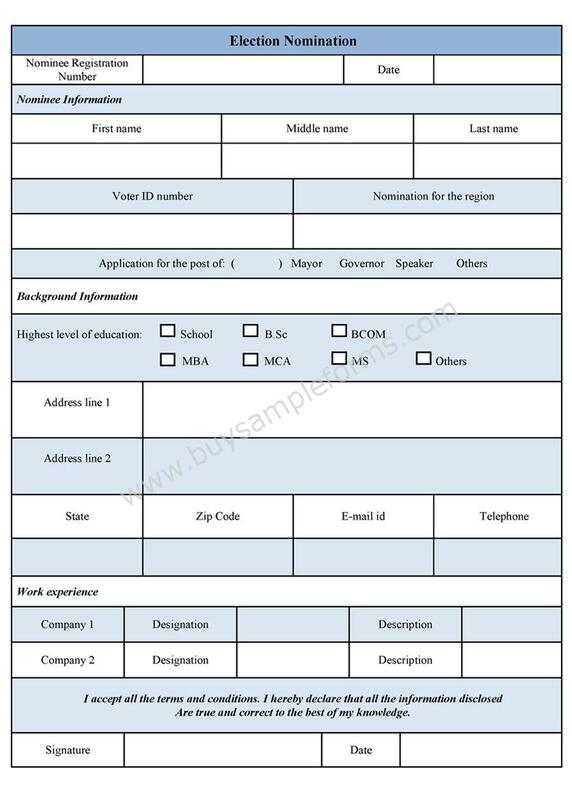 The nomination form template carries the information, including nominee details, his/her name, voter id card, nomination for the location and post for which nomination is made. Background information of that person also needed to complete the process that includes the educational background and work experience. Before submitting the document, one must mention the registration number. The signature of the nominee is also needed to make the data valid. 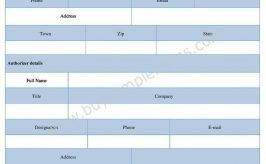 The format of the form is available in PDF and word file and you can download either of them. Customize the document as per your use.